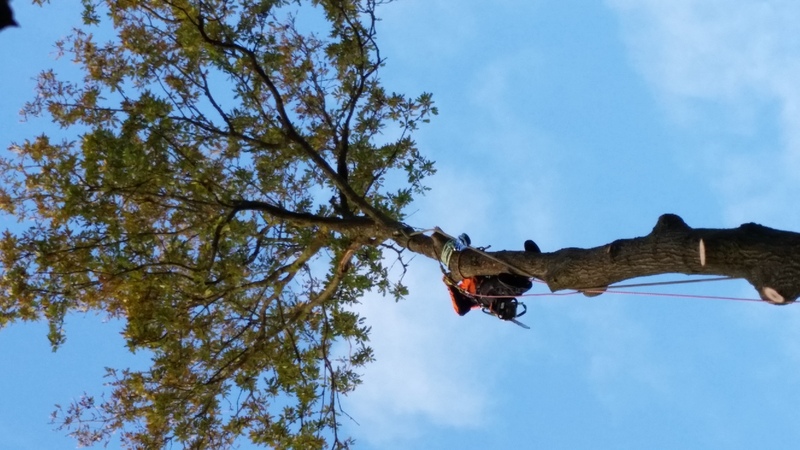 Pre-requisites: Candidates must hold a Certificate of Competence for Chainsaw Maintenance & Cross-Cutting (0020-03 / CS30) Felling & Processing Trees up to 380mm (0020-04 / CS31) Tree Climbing & Rescue (0020-13 / CS38) & Aerial Cutting of Trees with a Chainsaw using Free-fall Techniques (0021-08 / CS39) prior to attending this course. 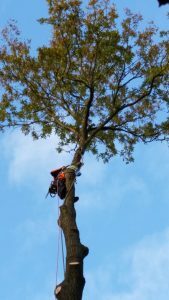 A course for people who are experienced in using a chainsaw from a rope and harness, who wish to develop their skills to remove branches and/or whole trees in confined spaces. This course culminates in an independent assessment for a City & Guilds Level 3 Award in Aerial Tree Rigging.